Awhile back, I got really into the life of Alexander the Great. I read about him online, I checked out a biography from the library, and I watched the “Ultimate Cut” of Oliver Stone’s Alexander, all 206 grueling minutes of it. I felt as if I had gone pretty deep into the Greek king’s life and persona. And yet this was nothing compared to Stanley Kubrick’s legendary preparation for his lost Napoleon epic. 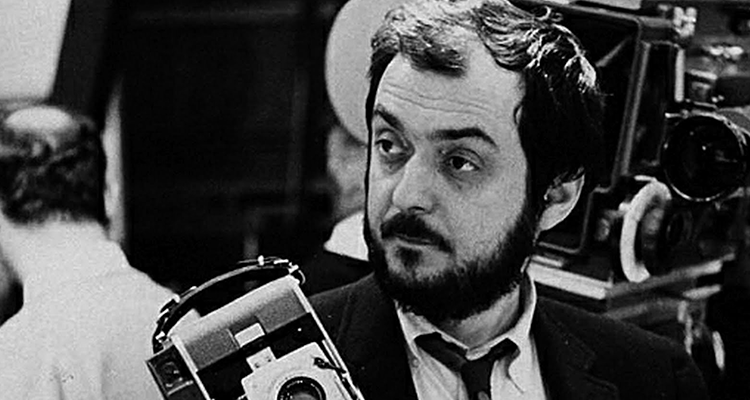 From 1955 to his death in 1999, Kubrick only made 13 films. Known as an obsessive and reclusive perfectionist, this low number in almost 45 years isn’t surprising. This means the anticipation for each film he released couldn’t have been higher. If he had ever made his Napoleon, it would have easily been the most expensive and ambitious piece of cinema in the Kubrick canon. Tony takes me into a large room painted blue and filled with books. “This used to be the cinema,” he says. “Is it the library now?” I ask. “Look closer at the books,” says Tony. “Look in the drawers,” says Tony. Later, Frewin tells him somewhere in the house is a cabinet with 25,000 library cards detailing every nook and cranny of Napoleon’s life. He says it took Kubrick and his assistants years, most of “the late 60s”. That interview with Frewin sheds light on other revealing facts about the master director’s quirks and process. Unsurprisingly, Kubrick loved things like typeface and stationary. He stored his voluminous research material in boxes, but he didn’t like the way they opened and closed, so he designed his own and had a company manufacture them. On the other hand, he was no Luddite. He’d use new technology if he thought it would make his painstaking process more efficient — such as a fax machine, back in the day before they were commonly used. While this unimaginable mountain of research never led to an actual movie, it did at least produce a Kubrick-penned screenplay in 1969, which fortunately, is available online. The 155-page script begins with a 4-year-old Napoleon and journeys throughout his life and times, culminating with the Battle of Waterloo and his death in exile. It’s part origin story, part love story, and part war story. He did more than just study and write a script about the French leader though. Kubrick scouted locations; they would shoot the film in France, Italy, and Yugoslavia. To render the epic battle sequences as accurately as possible, he planned to use roughly 40,000 (!!!) Romanian soldiers as extras, a number so outrageous that I’d consider it a typo if I wasn’t familiar with Kubrick’s methods. In a slightly alternate universe, he may have actually made that happen. 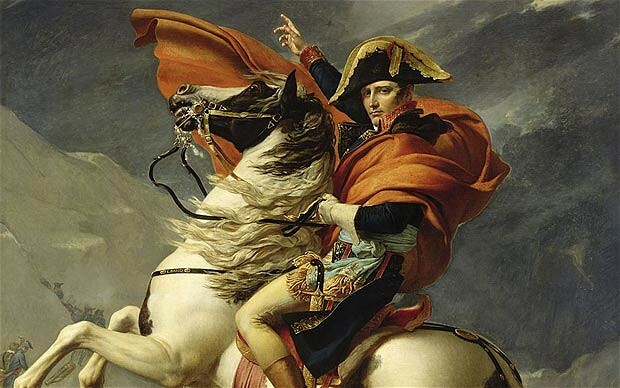 Then, of course, there was the mighty task of finding the right actor to play the great Napoleon Bonaparte. 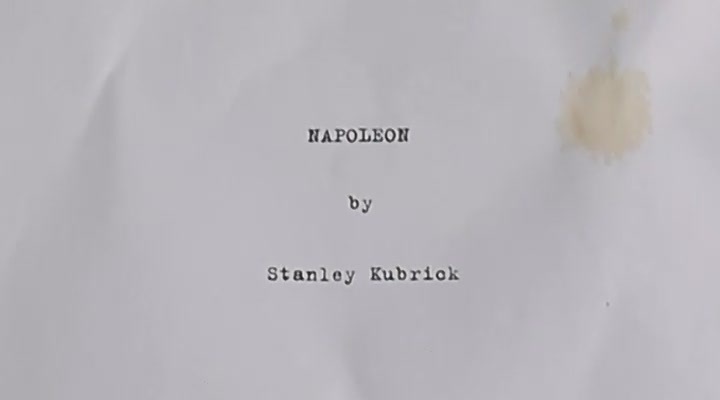 In his production notes at the end of the screenplay, Kubrick remarks that whoever plays Napoleon “should be able to convey the restless energy, the ruthlessness, and the inflexible will of Bonaparte, but, at the same time, the tremendous charm…” Originally, he wanted the English actor David Hemmings for Napoleon. Over a decade later in 1980, when he was still claiming a desire to go forward with production, he tossed out Al Pacino as an ideal choice. For Napoleon’s wife Josephine, Kubrick wanted Audrey Hepburn. Names like Alec Guinness (who would later play Obi-Wan Kenobi in the original Star Wars) and Laurence Olivier were thrown around as possible supporting characters. Ten years later, during which he made Barry Lyndon and The Shining, Kubrick was apparently still considering his Napoleon. In a 1980 interview, he expressed this desire before speaking reverently about the French emperor, creating an analogy (in his words, not “a serious comparison”) between the tedious logistical sides of battle and filmmaking. This, I think, is a clear window into why Kubrick so badly wanted to do a Napoleon film — and do it right. I mean, why would he spend so much time and effort on a project that was, frankly, a long shot to ever get made, considering its wildly ambitious scope? Undoubtedly, part of it was just Kubrick’s method. This is how he made movies. His research phase was lengthy and arduous. Frewin, his longtime assistant, claims he read just about every ghost book ever written for The Shining. After his research, he moved on to the unbelievably meticulous and often minuscule visual details that would inhabit his film. Then he would begin shooting, and, following that, you can only imagine Kubrick’s post-production editing process. I suspect that for Napoleon, his military campaigns provided him with at least all of the excitement and satisfaction of making a film and, equally so, I would imagine everything in between must have seemed pretty dull by comparison. Of course this is not an explanation of the Napoleonic wars, but perhaps it suggests some part of the explanation for Napoleon’s apparently irrepressible desire for still one more campaign. What must it be like to realize that you are perhaps the greatest military commander in history, have marshals like Ney, Murat, Davout, the finest army in Europe, and have no place to go and nothing to do? Then, continuing with this by now overstretched analogy, there is the big-budgeted disaster — the Russian Campaign, in which, from the start, Napoleon ignored the evidence which suggested the campaign would be such a costly disaster. And, finally, before his first exile, after fighting a series of brilliant battles against the Allies’ superior numbers, Napoleon still had a final opportunity for compromise, but he over-negotiated, gambled on his military magic, and lost. For Kubrick and Napoleon, the “excitement and satisfaction” of life came from their laborious and scrupulous work. Kubrick very patently admired this aspect of Napoleon’s personality. And, if I may branch an analogy off of Kubrick’s own analogy here, what must it have been like to be Stanley Kubrick, perhaps the greatest director in history, and have no place to go and nothing to do? By 1980, he had traveled through just about every genre (crime noir with The Killing, war with Paths of Glory and Spartacus, comedy/satire with Dr. Strangelove, sci-fi with 2001 and A Clockwork Orange, period drama with Barry Lyndon, and finally, horror with The Shining) and come out with several masterpieces. Where do you go from there? For Kubrick, studying Napoleon’s life must have been like looking into a mirror at times. Would Kubrick’s Napoleon have been his “big-budgeted disaster”? Not likely. Some critics have labeled his movies as cold and distant, but no one ever claims he birthed a full-on disaster, like so many other great directors have. No matter where this lost film would’ve ranked in Kubrick’s filmography, this remains one of cinema’s greatest What Ifs. I think there’s a good chance it would’ve been his most personal and idiosyncratic work, despite its astounding size and scope, precisely because of Kubrick’s affinity with his subject. Today, as they were back then, studios are too afraid to greenlight these types of projects — and maybe rightfully so. However, watching Oliver Stone’s Alexander, although it’s bloated and deeply flawed, made me pine for this type of insanely ambitious historical biopic. Who else would you want to give it a go than Stanley Kubrick? Stanley Kubrick’s ambitious, unproduced biopic of French Emperor, Napoleon Bonaparte.